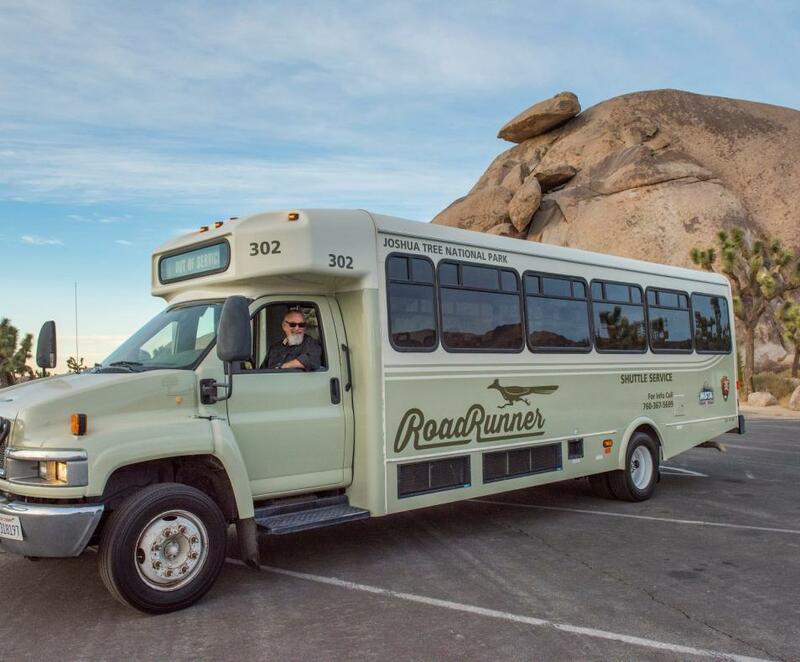 During the fall of 2018 and spring of 2019, Joshua Tree National Park will be piloting a free shuttle service, the RoadRunner Shuttle bus. This service runs throughout the day throughout the northern section of the park. During the two year trial period, all entrance fees are waived for park entrance for shuttle riders. This means that shuttle riders can get into the park for free! Buses enter the park from the town of Twentynine Palms. 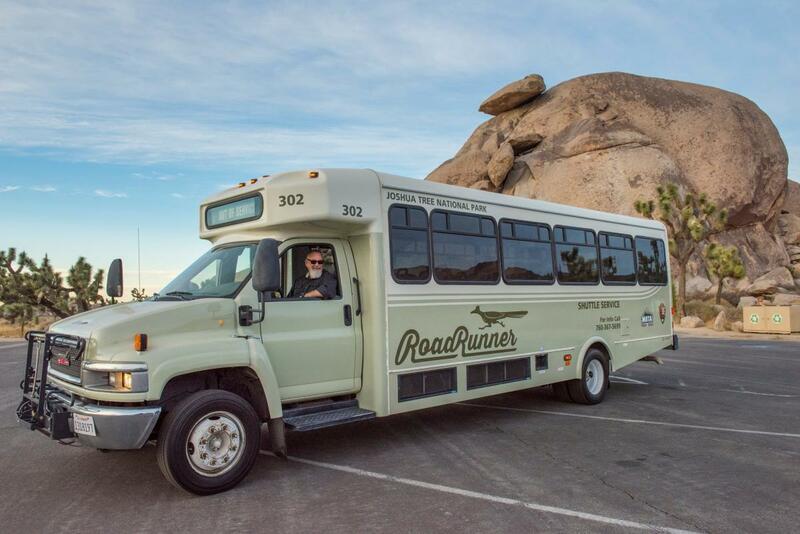 In Twentynine Palms, the bus stops at the Transit Center and Oasis Visitor Center before making a loop through the northern section of the park.